STAATSBURG, N.Y. (WABC) -- Police have arrested a suspect in a convenience store robbery in Dutchess County this week. Amrik Singh, the robbery victim and owner of Route 9 Mini Mart in Staatsburg, used a slipper to fight off a gun-wielding, would-be robber on Dec. 15. 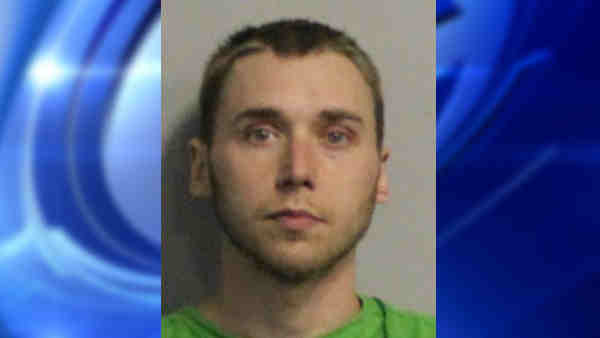 New York State Police arrested 26-year-old Christopher Dam of Hyde Park, N.Y., on Thursday. He was charged with attempted robbery and second-degree criminal use of a firearm. Surveillance video captured the moment when the store owner refused to give up his cash. "I tell you honestly, I'm not scared," said Singh. The video shows a masked gunman trying rob Singh's gas station convenience store. The suspect hands the store owner a bag, and the 58-year old begins filling it with cash from the register. There is a scuffle when the gunman demands larger bills he thinks are under the tray. At one point, Singh flung a slipper at the suspect, hitting him near the face, then he rushed the gunman and forced him out of the store. An outside camera shows him chasing the gunman. Police said Dam fired at Singh. Singh was not seriously hurt. Singh has owned the mini mart for 17 years, and has been robbed once before.